Create a cohesive identity for the UNF International Center through promotional materials that appeal to college students. 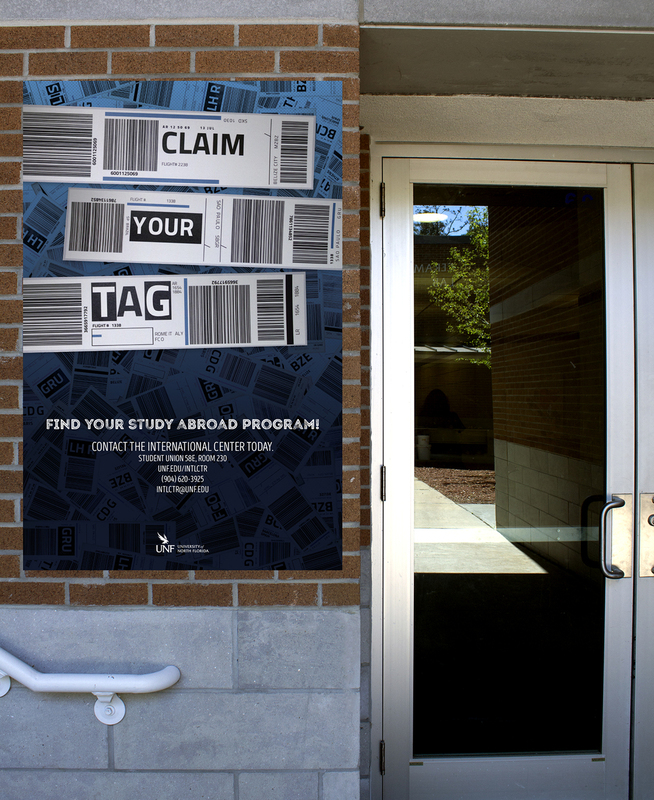 The redesign of promotional materials for the International Center’s study abroad programs is based around the concept of “claim your tag”. The system includes a poster, an informational study abroad brochure, a program specific brochure and a passport with important dates. College students often misplace things, so the ticket book, like you would receive from an airline, was created to hold the brochures together.